Everybody loves to have an original centerpiece! Making this beautiful Christmas centerpiece is pretty easy when you couple your own personal selections with the basic idea taught in this article. 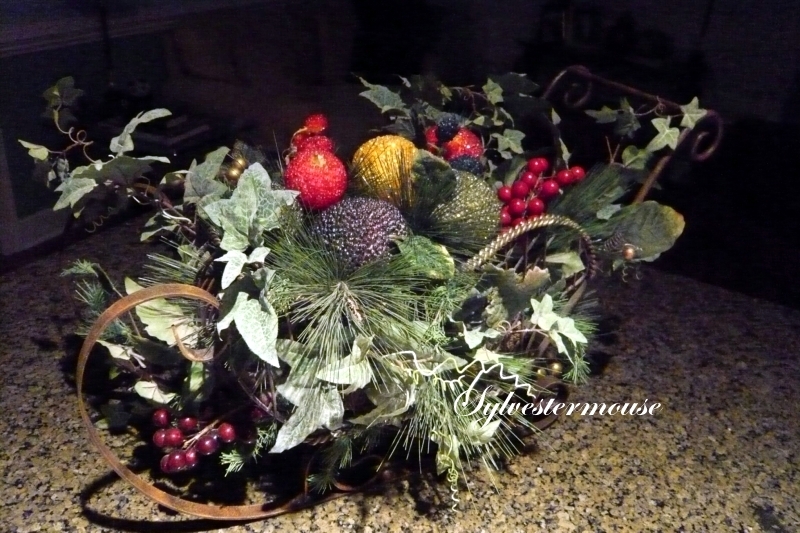 In my original sleigh centerpiece, I used beaded fruit and greenery so I could use this centerpiece from Thanksgiving through Christmas. After Thanksgiving, I simply removed the fruit picks and replaced them with Christmas floral picks. 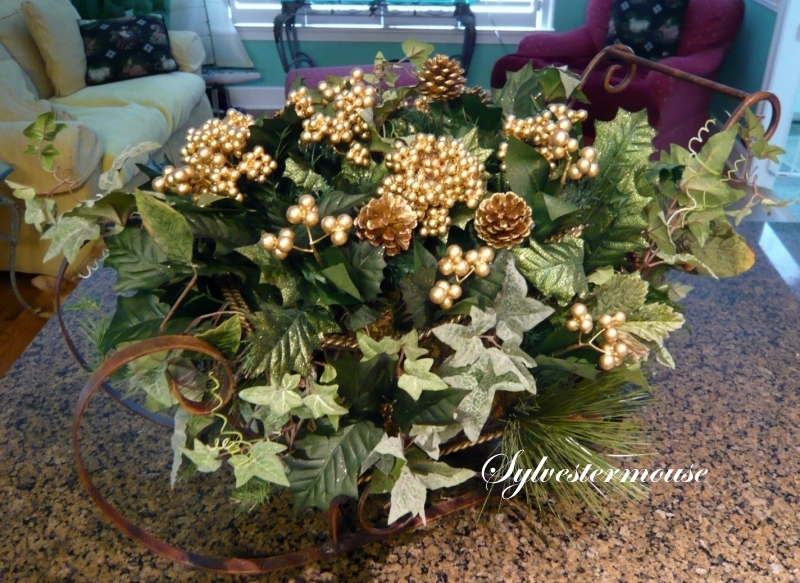 I will gladly share those pictures and supply list, but in this instruction page, I am going to show you how to make a gold Christmas arrangement. Later, you can swap the gold floral picks to beaded fruit or some unique floral picks that you have selected for your holiday table. The basic supply list is the same. Only the floral pick selections will change. 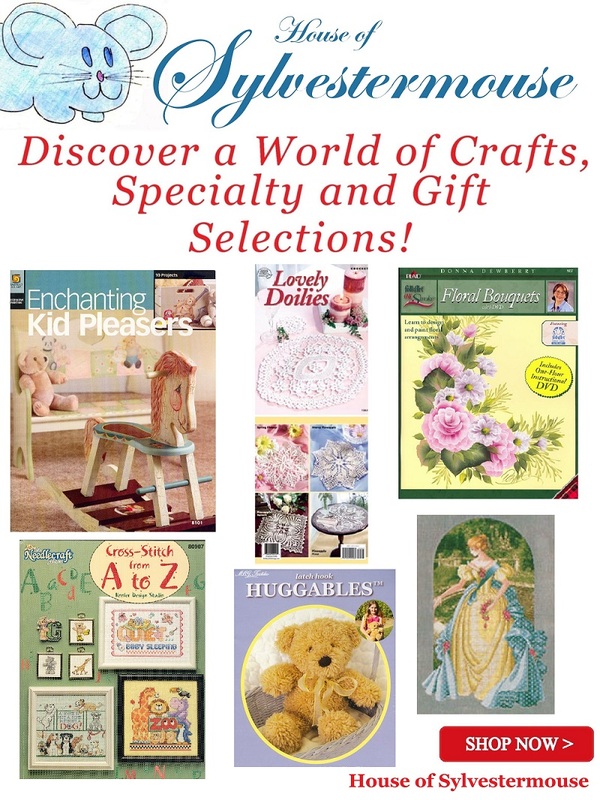 As you can see, there are a variety of sleigh baskets available in different sizes. These are just a few to show you examples of sleighs. You decide which sleigh best suits your Christmas home decor and personal taste. My sleigh is over 10 years old. Every few years or so, I change out the picks or add something to give it a different look. It has not been necessary to change the original foam brick. Choose your own favorite style and color for your Christmas Sleigh Centerpiece. Step 1 ~ Cut your foam Brick to fit your Sleigh. 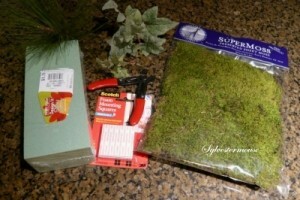 Step 2 ~ Cover your foam Brick with the sheet Moss. Glue the sheet of Moss on the brick just enough to keep it in place. You don’t want a lot of glue on the top your brick because it could impede the placement of your floral arrangement. It really is best if you can avoid using any glue on the top of your brick. 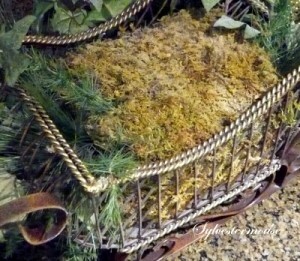 Step 3 ~ Place a mounting square on the bottom of your moss covered brick and “stick” the brick onto the bottom of the base inside the sleigh. For this illustration and for my own personal Christmas sleigh centerpiece, I opted to go with gold berries and gold pine cones accented with holly and ivy leaves. The picks that you select should be based on your own personal tastes and pick availability at the time you are creating your arrangement. Step 4 ~ Cut your floral bunches into separate stems, approx. 9″ each. Cut the stems several inches longer than your desired height because you will need at least 2″ allowed to stick down into the moss foam. You can use wire cutters or scissors to cut these stems, but sometimes they are easier to bend and snap. 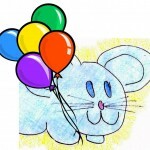 Save all of the greenery stems on the floral bunch for later use as filler. Step 5 ~ Place you floral stems in the desired location poking at least 2″ down into the foam brick. Be sure to work both sides as if they were the front of your arrangement. Step 6 ~ Fill in around your floral stems with your selected greenery. I like to use Ivy because it can be twined in and around the lattice of the sleigh. Voilà! You now have a unique, custom designed centerpiece! Beaded Fruit on Stems ~ 2 Stems of Dark Red Berries, 2 Stems of Gold Berries, 1 Stem of Red Berries, 1 Stem of Blue Berries, 1 Stem of Raspberries, 1 Pear, 2 Green Apples, 2 Red Apples, 1 Lemon & 1 Dark Red Apple. 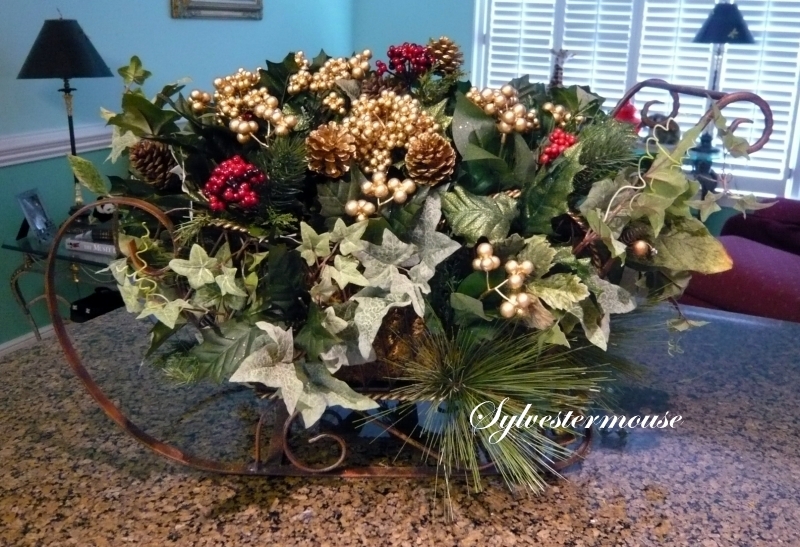 This Christmas Sleigh Centerpiece is incredibly easy to make and rearrange with the change of holidays or home decor. Over the years, I have made dozens of Christmas centerpiece arrangements, but this one is the easiest and most versatile. 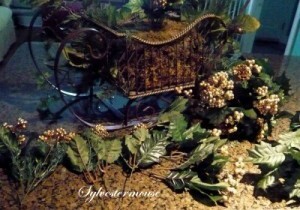 When you make you Christmas Sleigh Centerpiece, I would love for you to come back a share a photo of your creation. 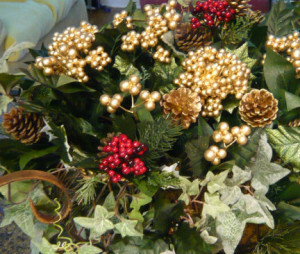 Oh, and these lovely arrangements also make awesome Christmas gifts that friends and family can use year after year.